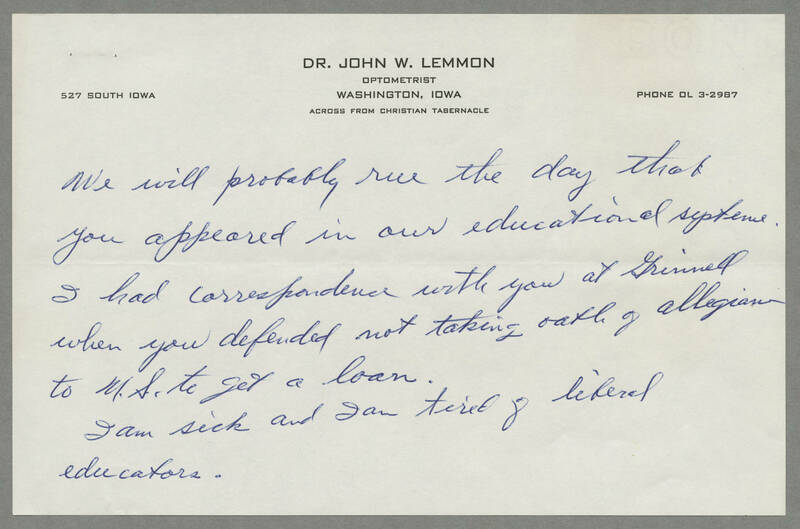 Dr. JOHN W. LEMMON OPTOMETRIST 527 SOUTH IOWA WASHINGTON, IOWA PHONE OL 3-2987 ACROSS FROM CHRISTIAN TABERNACLE We will probably rue the day that you appeared in our educational system. I had correspondence with you at Grinnell when you defended not taking oath of allegiance to U.S. to get a loan. I am sick and I am tired of liberal educators.